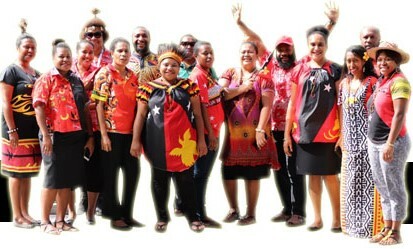 The Papua New Guinea Tourism Promotion Authority exists to promote Papua New Guinea to the rest of the world. Created through an Act of Parliament in 1993 (PNGTPA Act 1993), we have been charged with the gradual improvement of the local tourism sector and the selling of Papua New Guinea as a travel destination. Our tagline: “A million different journeys” brings prominence to the endless possibilities for travellers and tourists to experience, from the to tops of our mountains to our coastlines and islands. In our pursuit of international promotion we now boast more than 86,000 tourist visits to the country annually, translating to about US$205 million earned (according to the International Visitors Survey 2017). Through tourism, we build and maintain relationships with stakeholders and individuals in identified tourism hotspots through product development and investment, community incentives, industry partnership and human resource development. At the end of the day, we aim to ensure Papua New Guinea is fully represented in the global tourism scene for what it really is – a culturally rich, diverse and wonderful tourist destination that should be on everyone's bucket list. The organisational structure of PNGTPA. Our four divisions and what they do.